Going to the movies in Connecticut could soon become a quieter affair. 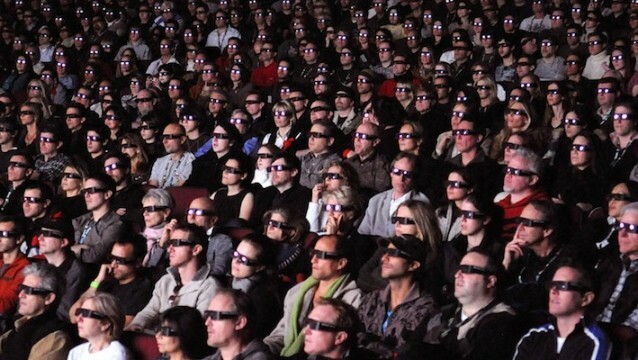 In a supposed effort to protect the health of both workers and moviegoers, state lawmakers are considering a bill that would limit movie theaters from showing films at a level that would exceed 85 decibels. Also, to the surprise of nobody, the MPAA has voiced its vehement objections to these decibel limits by citing everything from First Amendment violations to discrimination, as no other public entertainment industry has volume constraints. There is some precedent for regulating the loudness of what Americans hear through their TV, with an entire system for reporting commercials that are louder than the shows they inhabit. But with juggernauts like the MPAA crying foul so resoundingly and no experts yet coming to their defense, supporters of Young’s bill may just have to invest in some earplugs. I kind of disagree that theaters put off too much sound. I know sometimes they can be fairly loud, but there’s been times in movies where I’d hope for a volume raise since sometimes I can barely hear the dialogue. And I totally agree with the idea of people who’re hard of hearing, it probably works perfectly for them. I can agree with this somewhat, because there has been times where the volume in the theater is too much. It’s especially apparent during the previews for the most part, but if I am watching a movie with action, especially a lot of explosions, it can be quite annoying to the ear. Maybe the movie industry can lighten the sound a bit when explosions or really loud things happen. I can understand the hard of hearing not liking this though.